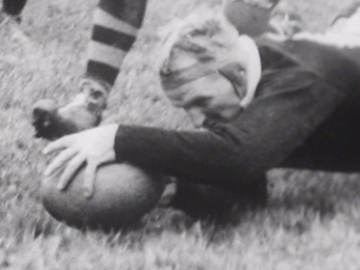 Surveying All Blacks rugby from 1905 until 1967, this wide-ranging documentary is framed around the NZ Rugby Football Union’s 75th jubilee celebrations. 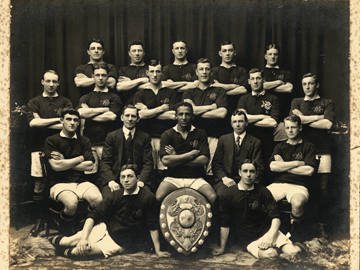 The archival gold mine includes matches from the 1905 Originals and 1924 Invincibles tours, and clashes with Springboks, British Lions, Wallabies and French rivals. 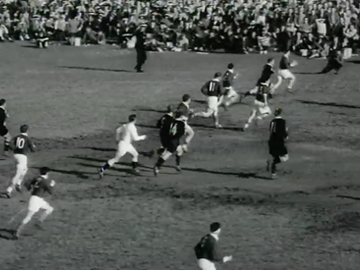 There's also footage of NZ schoolboy and NZ Māori clashes, and a jubilee match with Australia. Funded by Caltex NZ, the documentary was made by legendary Pacific Films co-founder John O’Shea. Press on the backgrounds tab for a list — in order — of all the matches. In this interview before the 2007 Rugby World Cup, All Black flanker Jerry Collins visits Trust Porirua Park, where he started playing rugby at the age of 11 for Norths RFC (other ex members include Hika Reid, and Christian Cullen). 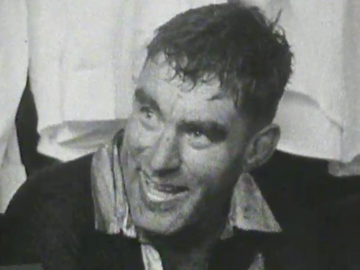 Collins, who was widely known as a hard-hitting and physical player, discusses how "getting smashed" was part of the game from the beginning: "I became good at it. Then I became good at doing it to other people”. He also reveals what he thinks about during the national anthem and haka. Collins and his partner Alana Madill died in a car crash in June 2015. 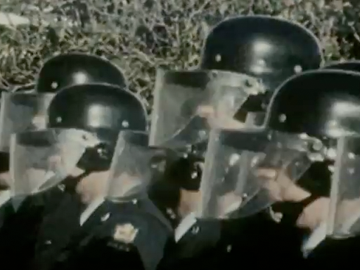 This NZBC documentary goes behind the scenes of the All Blacks, as the 1969 edition prepares to face the Welsh tourists. 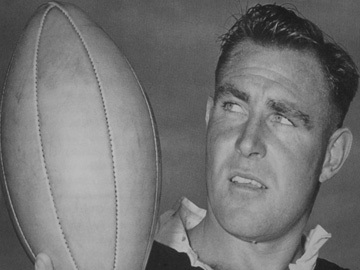 Match-day superstitions and training routines are analysed: Colin Meads relays his fitness regime (up farm hills), Sid Going discusses being a missionary, and there is much musing on all-things All Black from players, punters and even footballers’ wives. 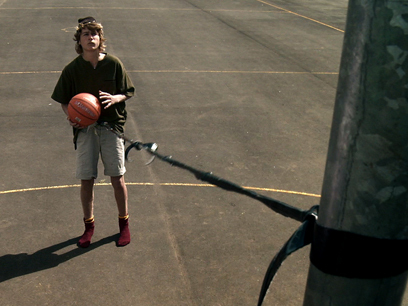 Exploration of player psychology plays it up the middle, and though the film neglects to ask how many Weetbix a player can eat, it was nominated for Best Documentary at the 1970 Feltex Awards.